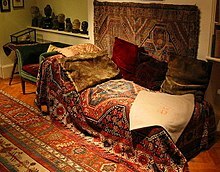 Boston Graduate School of Psychoanalysis is a private educational institution that focuses on training psychoanalysts, particularly in the field of modern psychoanalysis. Founded in 1973, it only awards graduate degrees. Its main campus is in Brookline, Massachusetts. ^ Spotnitz, Hyman (2004). Modern psychoanalysis of the schizophrenic patient:Theory of the technique. NY, NY: YBK Pub Inc. pp. preface. ISBN 0-9703923-6-2.